Always a divisive figure, Jose Mourinho in 2018, en route to complete his second season as the manager of Manchester United, is becoming more and more known as a sideline figure that can’t keep its mouth shut instead of a successful coach gobbling up every title in its path. 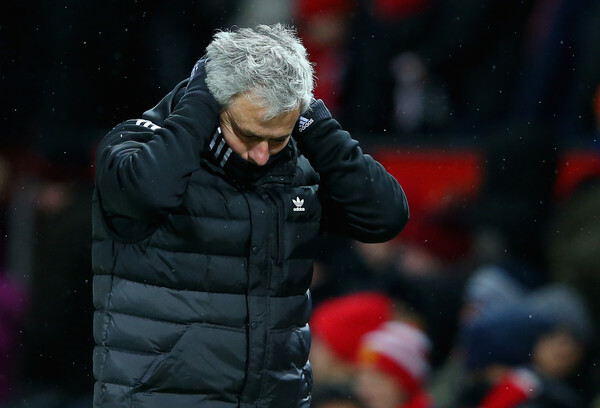 In a flurry of days dedicated to Mourinho defending the team’s exit against Sevilla in the Champions League, preparing for Brighton in the FA Cup and then explaining the performance in the win, what remains are Mourinho’s words, seemingly trying to reduce the tradition and legacy of his club to meaningless bits, while throwing almost each and every one of his players under the bus. If this sounds familiar, you’re not mistakes. Mourinho went through a similar phase in the 2012-2013 season, his third and last at Real Madrid; and in his third and last season at Chelsea (second stint), a season he didn’t even complete. The combination of blaming players in front of the media, while putting himself ahead of the clubs he’s working for is a known M.O. by Mourinho. When he wins he’s gracious to those he doesn’t think threaten him anymore. When he loses? He blames referees, the FA, opposing fans. When things get really bad, it becomes his own players that are to blame. This season by Manchester United in the league isn’t bad. If it wasn’t for Manchester City’s abnormal pace of not dropping points, Mourinho’s team would be in the thick of the championship race, perhaps leading it. However, the ability that pales in comparison to Pep Guardiola’s team (the Salieri comments are coming up again) and also Liverpool’s wild ride, alongside the early exit from the Champions League, lead to the fingers being pointed at Mourinho. Which immediately causes him to react. As long as he gets them back into the Champions League, it’s hard to believe his job is at risk. But Mourinho has an active agent in Jorge Mendes, and he himself loves to set up the ground for his departures if necessary. While it’s still a long shot that he doesn’t manage this club at the beginning of next season, things can deteriorate quickly, especially for a manager who isn’t as great as he was, or he thinks he still is.